Just mention ancient Egypt and the first point of conversation will usually be either the pyramids or mummies – often both! 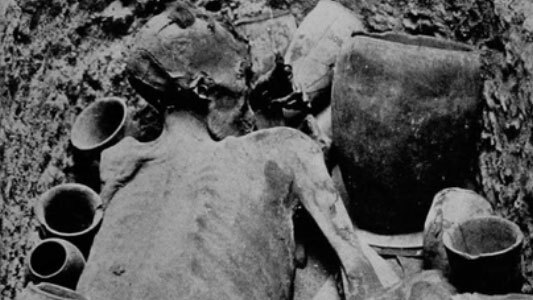 The first Egyptian mummies were created by the environment they died in. This is because their dead bodies were surrounded by sand – which dehydrated their skin and therefore preserved their corpse. But as Ancient Egyptian culture grew, methods for intentional mummification were developed and perfected. Mummification became a standard burial ritual for those of high status. They believed that it was necessary to preserve the person’s body for their next life. Usually, all their organs would be removed, including the brain. Their body would they be surrounded by salt for over a month so that their skin may become dehydrated. After this, the body was tightly bound with bandages. It wasn’t just humans who were mummified. Sometimes other animals like cats or birds would also be mummified and buried alongside humans. There are many Egyptian mummies that have stood the test of time. This is a list of 10 interesting examples of such. Menmaatre Seti I was the Pharaoh of Egypt from 1290 BC to 1279 BC. This was when Egypt was one of the most powerful kingdoms in the known world. The downside of this was the need to fight on several fronts. Menmaatre Seti I led his country in several wars across North-Africa and the Middle-East. Most of his military action was just forcing nomads to submit to him in order to deter invasion. But a lot of foreigners had their eye on capturing Egyptian territory. At one point, Menmaatre Seti I defeated a Libyan invasion force while suppressing Egyptian rebels at the same time. He was a great military commander. This is proven by the fact that he was able to capture a number of settlements from the powerful empire in what is now Syria. Menmaatre Seti I is one of the best preserved Egyptian mummies ever discovered. It was discovered in 1881, and was instantly judged to be quite mysterious. The cause of his death is unknown, although it doesn’t seem to have been a violent one. He has been decapitated. But the decapitation is thought to have accidentally been caused by grave robbers in the 19th century. The Gebelein pre-dynastic mummies is the name given to a group of 6 Egyptian mummies who died around the year 3400 BC. 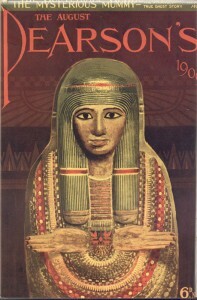 They are the only Egyptian mummies of their historical period and very little is known of them. 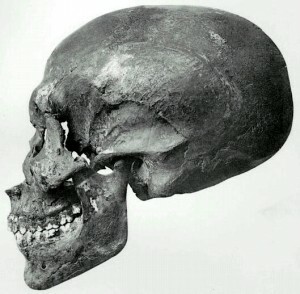 Excavated in the 1800s, the first body excavated was displayed in the British museum in 1901, where they still are today. 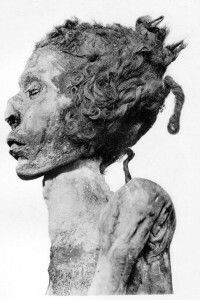 They are examples of completely the natural mummifications that were common in Pre-dynastic Egypt. It is thought that the first body was killed in a surprise attack. It is thought to have been a surprise attack as the body shows no signs that they struggled with their murderers. Djedptahiufankh is a name that I don’t think I could ever properly pronounce. Djedptahiufankh was among the most well respected politicians in Egypt. He was a profit, said to be in direct contact with the god Amun-Ra. Amun-Ra was the highest of all ancient Egyptian deities – the king of all gods. Due to this, Djedptahiufankh had a huge amount of power and influence over not only ordinary Egyptians, but also over the Pharaoh. Djedptahiufankh was buried in the same tomb as many other powerful figures from Egyptian society. 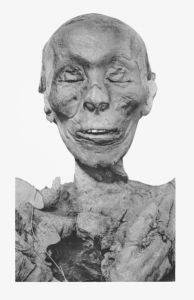 So he was discovered in the late 19th century along with other significant Egyptian mummies. 1770 Mummy is the mummified corpse of an young teenage girl who died in Ancient Egypt. She is one of the more mysterious Egyptian mummies as she was mummified differently than most others. Upon her examination, dead insects were found under her bandages. They were thought to have entered the burial after she died though, nothing unusual about that. For some reason her legs are missing. She was buried with wooden planks in the place of where her legs should have been. her fingernails were covered in gold, which probably means she was of important birth. The embalmers would only have done this for a person of extremely high status. So who was she? Thutmose II was an Egyptian Pharaoh who reigned in the 15th century BC. He really didn’t do much while in power. But his story is quite interesting as he is thought to have been politically dominated by his wife. His little involvement in military action was to suppress some fairly minor rebellions in regional Egyptian cities. 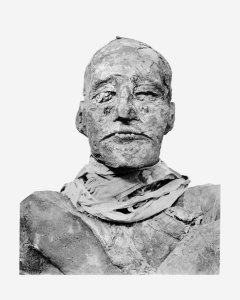 Despite his dull life, Thutmose II is among the most famous Egyptian mummies. Many scholars believe that he was the Pharaoh featured in the Exodus of the old testament. He is believed to be the Pharaoh because he only held power for a brief period of time. His regime collapsed quite suddenly also, which correlates with the story in the Exodus. Unlucky Mummy is currently held in the British museum. It is the coffin lid that once belonged to an unidentified Egyptian mummy. We really have no idea who the Unlucky Mummy originally belonged to. It is thought to have been crafted between the years 950 and 900 BC. What we do know is that it was crafted with the purpose of protecting the mummified corpse of an Egyptian woman. It gained it’s name due to the legendary curse associated with it. They say the unlucky mummy has caused many deaths and tragedies, including the sinking of the Titanic in 1912. 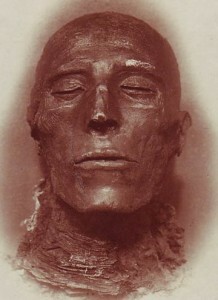 The Unlucky Mummy was studied closely by a journalist called Bertram Robinson. He died suddenly while in his mid-30s – for which the unlucky mummy has been blamed. I know this is meant to just be a list of Egyptian mummies but I just had to include this. Akhenaten was the Pharaoh of Egypt for 17 years. During his reign he took Egypt away from it’s traditional polytheistic religious system and introduced monotheism. There was huge resistance to his new monotheistic religion but most people who too frightened to object to it. However, the Egyptian population returned to their traditional polytheism after he died in 1334 BC. He was a talented diplomat, with strong relationships with foreign rulers. Like most Egyptian mummies, his story was rediscovered in the Victorian era, which changed the way we saw African history. After his death and burial, his new monotheistic temples and settlements were abandoned and destroyed. Ramesses III was Pharaoh of Egypt and isn’t exactly remembered for good reasons. It was during his time in power when Egyptian power vastly decreased in both North-Africa and the Middle-East. His poor military leadership allowed several tribes to successfully invade the Kingdom. It’s thought that he was murdered by his own children because of this. But he was still given the same treatment as other Egyptian mummies. Ramesses II had nothing to do with Ramesses III. They just share the same name. He was probably the most powerful and most celebrated Pharaoh in Egyptian history. And living past the age of 90, his passing was a monumental event for the people of Egypt. As far as Egyptian mummies go – his was pretty impressive. He was laid to rest in the Valley of the Kings, which suited his reputation. But the valley was a prime target for tomb raiders, so his mummy was later moved somewhere more safe. In the 1970s, advanced medical techniques were able to establish a greater insight into his life. His old battle wounds made it clear that he spent much of his time fighting in wars. Other signs of injury made it clear that he wasn’t exactly a physically capable man towards the end of his life. Ramesses II outlived most of his relatives because the life expectancy in ancient Egypt was a lot lower than 90 years. 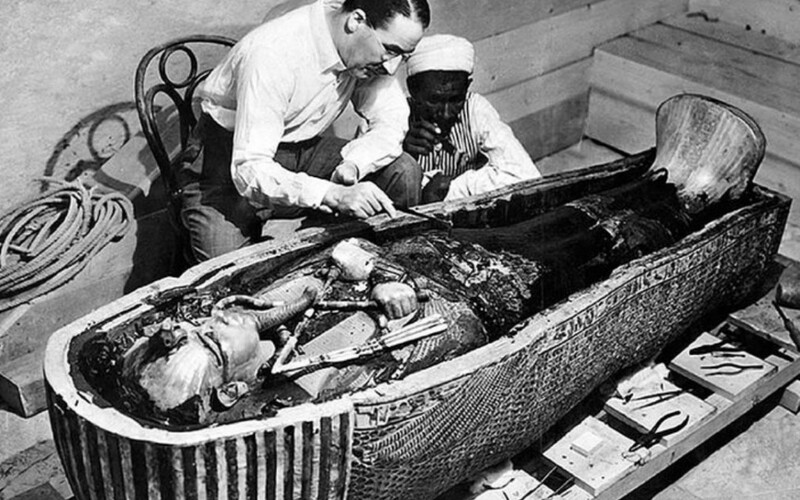 Of all Egyptian mummies, Tutankhamun might just be the most famous. And perhaps the most notorious due to a certain legendary curse associated with him. Tutankhamun was briefly Pharaoh of Egypt until he died at the young age of 18. Those who originally excavated his tomb died swiftly and mysteriously. This gave rise to the legend that Tutankhamun’s tomb is protected by a curse. 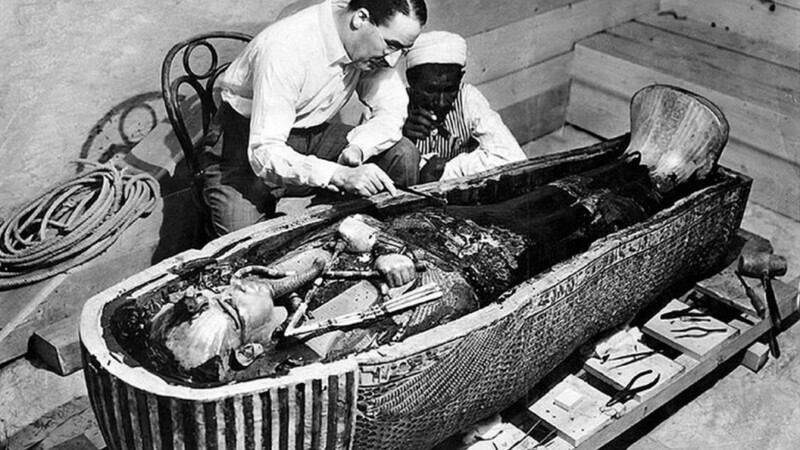 The mummy of king Tutankhamun has been present at many places where the power has gone out. Many scientific machines and computers overheat and crash when they are around him. Over 20 deaths have been attributed to the curse of Tutankhamun.